A roundup of the week’s technology news including Apple ditching Intel, Trump vs Amazon, and IoT stationary. The recent shooting at YouTube’s office in San Bruno, California was horrific and we wish a speedy recovery to the people injured in the attack. The company says it believes “most people on Facebook could have had their public profile scraped” using phone number or email address searches on the site. Given that the company has over 2 billion users, ‘most’ means over 1 billion at the very least. The new estimate for the number of users who had information hoovered up by Cambridge Analytica is 87 million people. Facebook reportedly asked U.S. hospitals to share anonymized patient data, such as illnesses and prescription info, with the intention of matching it up with user data. Zuck’s messages are deleted from recipients’ inboxes for ‘security reasons’. Turns out Facebook hadn’t ever actually deleted user videos. Sheryl Sandberg says FB would be a pay-to-use service if there was a way to block all ads on the site. Zuck himself says that he is still the man to lead the company, despite some calls for him to step down. Intel is another company that’s had a bad time of it lately. Apple is rumored to be planning on ditching Intel and making its own chips in its Macs from 2020. According to Bloomberg, the initiative is codenamed ‘Kalamata’ and aims to make all of Apple’s devices ‘work more similarly and seamlessly together’. Apple’s move away from Intel could cost the chip company around 5% of its annual revenue. Apple currently uses its own chip designs for its iPhones, iPads, Watches, and other devices. Meanwhile the rumor mill is suggesting 2020 could be a big year for iPhones. Reports are suggesting the Cupertino Company could be shipping a foldable phone or device, a curved phone, and devices with gesture controls. It’s no secret that President Donald Trump has had a long-running feud with Jeff Bezos and his companies. This week has seen President Trump take aim at Amazon’s dealings with the US Post Office, claiming that the service is ‘treated like a delivery boy and loses a fortune’ because of discounts it offers to Amazon, and that Amazon should pay more to use the postal system. Former Postmaster Patrick Donahoe says this explicitly isn’t true and the Post Office makes a profit from its dealings with Amazon. Amazon is reportedly ignoring the outbursts and carrying on as normal. In other Amazon news, the company is reportedly planning bank accounts for teenagers. Google staffers aren’t happy. Reports that Google is working with the Pentagon on something called Project Maven; a AI-imaging algorithm designed to help military drones identify and track targets have upset many staffers, who have written an open letter to Google CEO Sundar Pichai to pull out of the project. Meanwhile, more than 50 leading academics have signed another open letter calling for a boycott of Korea Advanced Institute of Science and Technology (KAIST) after it was reported the university was working with Hanwha Systems to develop autonomous military equipment. Authorities in the US will use your cold, dead finger to unlock your phones. Indian political parties have been accused of collecting and sharing people’s data with third parties without permission. New hacking startup Grey Heron has links to the Hacking Team. Huawei isn’t happy with the FCC’s attempts to bar it from US networks. The FBI probably could have hacked the San Bernardino iPhone, but still chose to try and sue Apple, possibly because it wasn’t aware of its own internal efforts. Investment firm TPG has bought Intel’s WindRiver business, InVision has acquired Wake, Qualys has snapped up 1Mobility, Alibaba has taken over Ele.me, Accenture has got its hands on MXM, Microsoft has purchased Forerunner Software’s rendering technology, and Chinese eCommerce giant Meituan-Dianping has snaffled bike-sharing startup Mobike. Daimler and BMW are merging their DriveNow and Car2Go car-sharing companies, while Mercedes has set up a ride-sharing joint venture with Via. Line has set up a Blockchain subsidiary called Unblock. SAP is sunsetting its SAP Anywhere offering, The TOR project is shutting down its Tor Messenger, and a company that makes IoT wine bottles is closing down. Amazon is reportedly looking to acquire Flipkart. The Linux Foundation has launched a new program dedicated to hosting Open Source projects around artificial intelligence, machine learning, and deep learning. It is called the LF Deep Learning Foundation. The Linux Foundation is also hosting a new project from AT&T called the Disaggregated Network Operating System (DANOS) project. It aims to be an open alternative to traditional integrated networking equipment. US, Indian, and Chinese tech workers are fleeing to Canada, according to a new study. Toronto-based tech hub MaRS found half of the companies it surveyed had seen an increase in international job applications. The survey continues the trend seen in a previous MaRS study. According to the most recent statistics, the Swiss watch industry continued its recent growth trend. Huawei has made its own version of the Apple Airpods. Google has filed a patent for embedding optical medical sensors in everyday objects such as mirrors. Mozilla is working on a VR version of its Firefox browser. 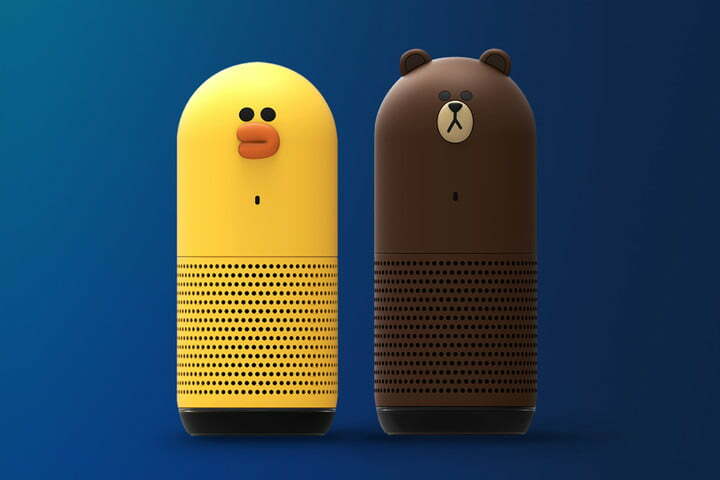 Smart speakers/assistants come in all kinds of funky shapes and sizes. Duck? Check. Bear? check. Super kawaii Studio Ghibli-style monster? Check! The Fribo is a ‘social networking robot’ designed by Yonsei University and the Korea Advanced Institute of Science and Technology (KAIST), and is designed for people who live alone. It keeps owners informed of what their friends are up to and encourages you to keep in touch with them. Here’s an excellent video of a drone crashing into a wall. The drone belonged to the Russian Postal Service and was meant to be making its first delivery.